Sin ce the early 2000’s, Control Point has been helping customers connect their equipment and software systems together via Ethernet communications. Typically, this has meant intelligent devices like controllers, PLC’s, and HMI’s being connected back to SCADA software. Today, more and more devices have the intelligence to communicate via Ethernet giving us the ability to share more data easily. Further, the prevalence of the internet has changed how people wish to view and receive this information. After listening to and working closely with our clients we recognized this evolution in industrial connectivity at an early stage. Control Point today offers solutions that provide data via cloud-based dashboards without the complexity of PC based web servers and the cost associated with building the necessary infrastructure. Using hardware products from companies like MB Connect Line and Red Lion we are able to expose data to users in a secure method and at a reasonable price point. Our mission has always been to keep our customers working efficiently with the highest quality, cost effective, and innovative technologies. With this in mind we see ourselves at Control Point as solution providers and expanding our services to involve innovative approaches to the evolving IoT industry was simply a means of providing our clients with new solutions. 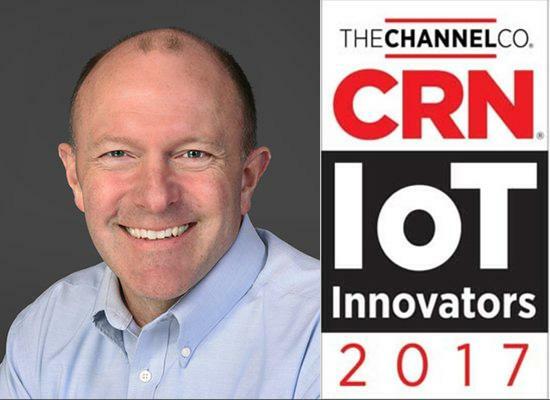 In this new era of internet and Ethernet connectivity there doesn’t seem to be any end in sight for the expansion of the “internet of things.” In the meantime, we are honored to have been recognized as a 2017 IoT Innovator and excited to continue to provide new solutions for our industry. This entry was posted in Uncategorized by jeffmurray2000. Bookmark the permalink.